Everyone has rights! You Need to Know Yours!! BRiDGES participated in the Rockland Community Against Hunger campaign to reduce food insecurity in the County on Saturday, April 14th. Staff manned our table at ShopRite in New City that morning, ready to greet shoppers who generously donated needed non-perishable food items. The New York State Department of Health and the New York State Office for the Aging are requesting that you complete a brief anonymous survey to assist the Planning Council in this effort. For the purpose of this Council, the “long term care system” should be broadly interpreted to include a variety of services and supports that help meet both the medical and non-medical needs of individuals with a chronic illness, disability, or functional need, and includes services and supports for caregivers. Please respond by June 18, 2018. This study is a dissertation by Holly Siegrist, M.A., M.S., a deaf doctoral student in the Clinical Psychology Program at Alliant International University and supervised by Rhoda Olkin, Ph.D., at the California School of Professional Psychology at Alliant International University, San Francisco. The purpose of this study is to investigate difficult social experiences that deaf/Deaf and hard of hearing people may have faced in childhood, such as trauma as a result of oppression or abuse, and how these experiences shape their sense of identity and social interactions as adults, with particular attention to experiences of exclusion. The focus of the study is on social interactions between deaf and hearing people. However, the study also examines social interactions of deaf people with other deaf people, and intersectionalities of oppression. Another focus is on identifying both positive and less adaptive ways that deaf people handle difficult social interactions. Deaf people age 18 and up are compared by generations, gender, and whether participants had sign language as their first language. The study involves an internet survey distributed to the United States and Canada, and email interviews with participants in the United States. ​This study also aims to inform clinicians working with deaf clients, and policy makers, about how oppression can affect deaf people’s sense of identity and social development. Psychological distress due to oppression in social interactions has important ramifications in the social lives of deaf people. The results of this study will be available in June 2018. CHORE Handymen Philip Stephenson and Nick Amendola are Volunteers of the Week! Read the complete article at the Rockland County Times website. CHORE volunteers Philip Stephenson and Nick Amendola. Aging can be a difficult time for many people, as they rely on the help of family and friends as they get older. Without this option, they need the help of people who volunteer their time to help them with basic tasks, such as replacing light bulbs, installing grab bars and repairing handrails. CHORE is a resource to people living in Rockland County who are 60 or older, or a person living with a disability, regardless of age or income status. CHORE helps people to maintain the independence of living at home by providing free minor household repairs and home improvements that make living at home safe. Repairs are generally completed within two weeks from the request. CHORE prioritizes minor home repairs that are related to safety concerns. Any minor home repair that will help prevent falls or keep people safe in their home will be scheduled as soon as possible. CHORE, a program of Bridges, is supported through a combination of volunteers, a grant from the Rockland County Office for the Aging and the generosity of local businesses and residents. Contact Bridges for more information about the CHORE program by phone at 845-215-1010 or visit the CHORE webpage. The platform is adding wheelchair-accessible navigation options for transit routes in six major cities. Google Maps is making significant strides to address the needs of wheelchair users worldwide. 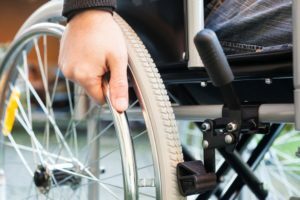 The tech company recently announced the launch of wheelchair-accessible routes to its navigation platform in a move that will finally make it easier for people with access needs to plan for—and get around during—trips to major cities. When interacting with Google Maps, users will now be able to select “wheelchair accessible” as a route navigation option. The new feature is rolling out in six major cities—starting with London, New York, Tokyo, Mexico City, Boston, and Sydney—and Google plans to add more cities with wheelchair accessible routes in the future.